(London Post) A new study tallies the enormous economic costs of the war in Syria – and its tragic effects on millions of Syrian children. With much of the country in ruins and half its population displaced, they face a tough future. 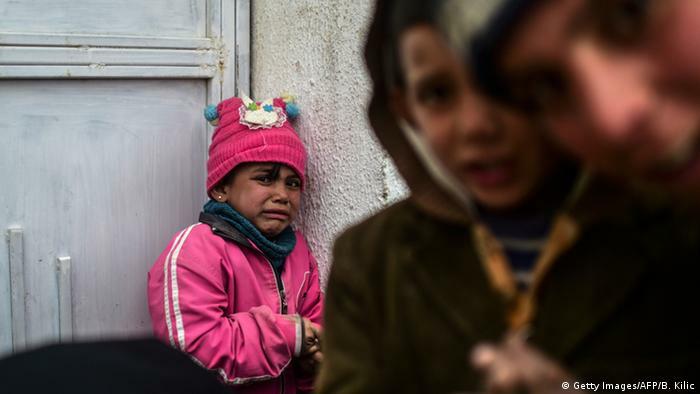 Five years in, the war in Syria is costing about $4.5 billion a month (4.0 billion euros) in lost production and services alone, according to a report entitled “The Cost of Conflict for Children”. It was released by World Vision International, a Christian charity focused on children, and the consultancy Frontier Economics. Since the war’s beginning in 2011, the economic loss has been $275 billion. If the war continues until 2020, it will have cost a staggering $1.3 trillion, the report says. “The $275 billion this war has already cost the Syrian economy is lost money. It will never be recovered, never be spent to provide education, health care, safe environments, livelihoods or a future for children,” said Conny Lenneberg, regional leader for World Vision’s Middle East programs. Frontier Economics looked at Syria’s economic productivity before the war started, and calculated the value of production of goods and services (gross domestic product, or GDP) that would have been produced in Syria had life continued as normally, and the war never started. It compared that with estimates of Syria’s greatly reduced GDP under its present circumstances. “Even if the conflict ends this year, the cost of the conflict will grow to between $448 billion and $689 billion” in terms of lost economic output, the report says. That’s a much larger figure than $275 billion, because even after peace returns, it will take years for Syria’s ruined infrastructure to be rebuilt and productivity restored. 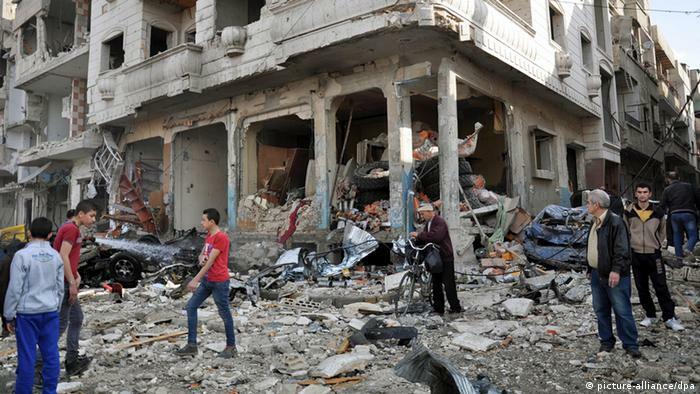 The estimates took into account the economic costs and losses accrued by Lebanon, Jordan and Turkey as well as Syria itself – countries where millions of Syrians have fled as refugees from the destruction, bombing and slaughter in their home country. 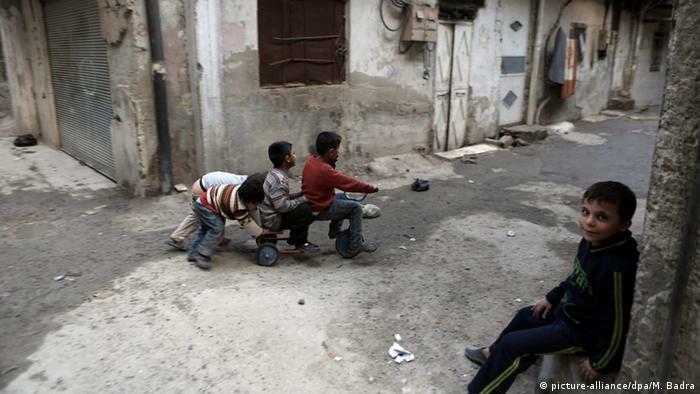 Among Syria’s neighbors, Lebanon has been hit especially hard by the Syrian conflict. Real GDP per capita is nearly 23 per cent lower than it would have been in the absence of the Syrian conflict, according to Frontier Economics. 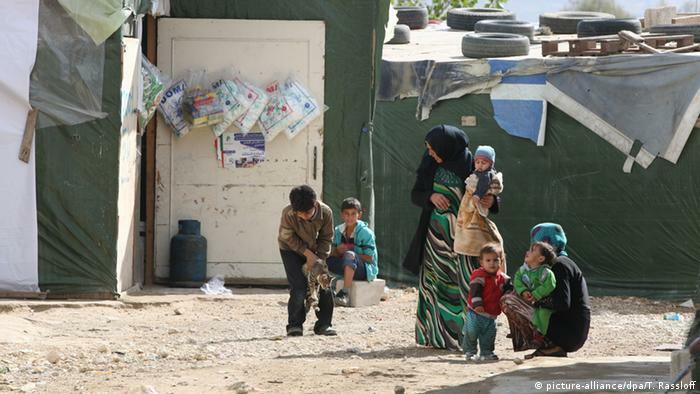 Families are under acute financial pressure, with 90 percent of refugees in Lebanon and Jordan considered poor. Barred until recently from formal employment, parents are sending their children to work or entering them into marriage at a young age just to help the family survive, making children less likely to return to school. Only 48 percent of refugee children from Syria are able to access education opportunities. World Vision called on Turkey, Jordan and Lebanon to keep their borders open to refugees, provide schooling for children and opportunities to legally work for adult refugees. At the same time, the charity called on international donor countries in Europe, the US and elsewhere to support Syria’s neighboring countries – especially Lebanon and Jordan – financially, organizationally and technically in their efforts to host displaced Syrians and Iraqis. Asked whether the government of Germany is playing a constructive role in pressuring the various parties pumping weapons into the conflict to cease doing so, Forberg said he didn’t know. However, he said that peace negotiations should be restarted with as few preconditions as possible. Demanding that Assad step down first, for example, was a non-starter, and any party demanding this as a precondition for peace talks “probably isn’t serious about wanting peace,” he said. Barton’s LA home in foreclosure?